Is your organization looking to consolidate service delivery across the enterprise and needs a tool to help you realize your goal of a global service center? Are you in the middle of a selection effort and recognize the need for an outside perspective to help cut through the sales speak and identify the right partner for your organization? Providing a comprehensive, end-to-end experience that adds value at any stage of your selection process. 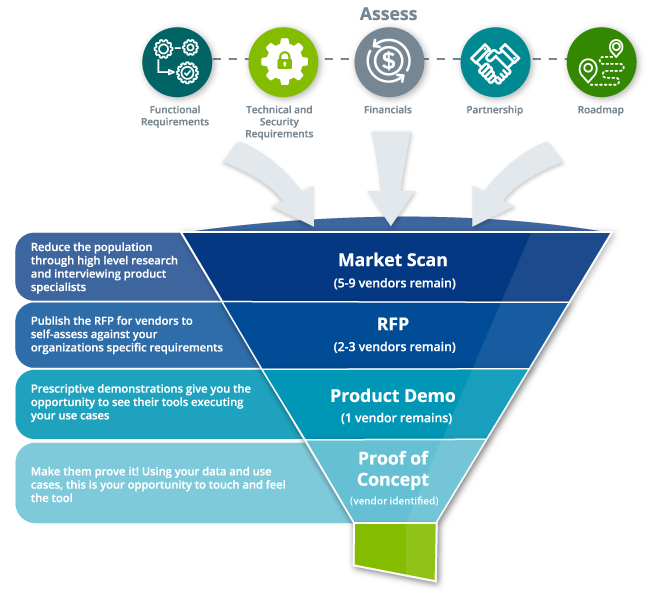 Whether it is scanning the market or facilitating the RFP, Demonstration or Proof of Concept, we have an objective perspective and a proven approach to help you select the right partner to enable your service management goals.